Looking for the best ultrasonic pest repellers? 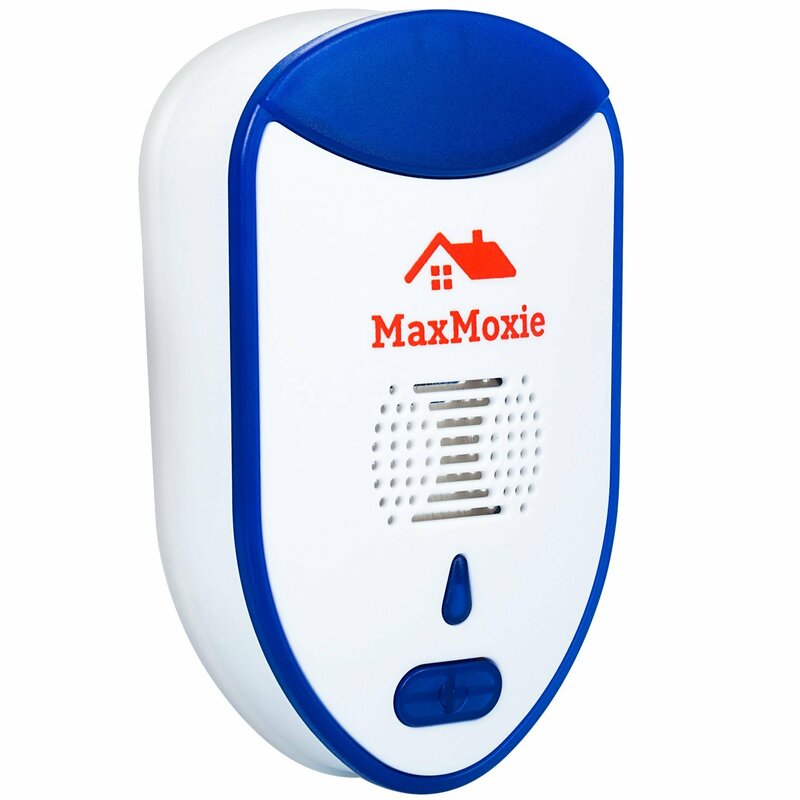 Out of the repellers we reviewed, our #1 pick goes to the Max Moxie Pest Repeller. We found it has the greatest amount of authentic positive feedback after use. Ultrasonic pest repellers are a relatively new invention designed to deter pests from invading homes through noise that is difficult for humans and pets to hear. But when choosing a repeller, there's some key information people need to know to buy the best one and actually get results. How Do Ultrasonic Repellers Work? Are Ultrasonic Pest Repellers Effective? How to Buy a Good Ultrasonic Repeller? How to Use An Ultrasonic Repeller in Your Home? Are There Ultrasonic Repellers For Your Car? 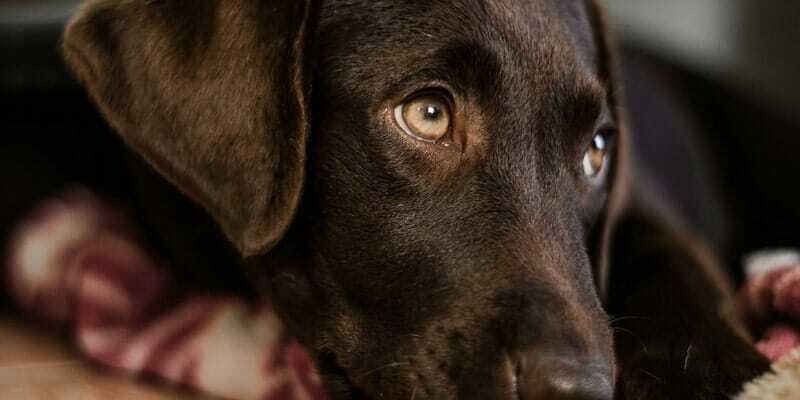 How To Protect Pets From Side Effects of Ultrasonic Waves? Short on time? Take a look below for the top 6 in our list for 2019. Otherwise, check out our buying guide. Ultrasonic pest repellers are devices that emit a consistent noise at a frequency which is too high for humans to hear. These sound waves are designed to distract, annoy, and deter common household pests such as cockroaches, spiders, grasshoppers, and rodents. Take a look a the below video to get a sense of what these devices look and feel like out of the box. Ultrasonic pest repelling devices require electricity to function. It is plugged into an outlet and starts to emit a high frequency that is difficult for humans and other larger animals to hear. The sounds and wavelengths released by the repeller is designed to cause a physiological response in pests. The full name for it is an audiogenic seizure response. The noise disorients the pest to the point where they begin to run in random directions, become confused, convulse, and eventually die from cerebral hemorrhaging. The use of ultrasound to deter pests is a relatively new idea, although sound itself has been used as far back as Ancient China. Rodents suffer from noticeable affects from the ultrasound, but some studies found that creatures like spiders and ants simply don't care. Other studies have found that pest repellers may actually ATTRACT mosquitoes! If you're someone who wants to avoid chemical forms of pest control, then investing in an ultrasonic pest repeller could be right for you to at least try around your home. There are many accounts of people finding success with pest repellers, so I would recommend at least attempting to use them if you want to avoid chemical treatments. Rodents and other small animals with sensitive hearing hate the noise and it should drive them away. Read Also: What are the best mouse traps? 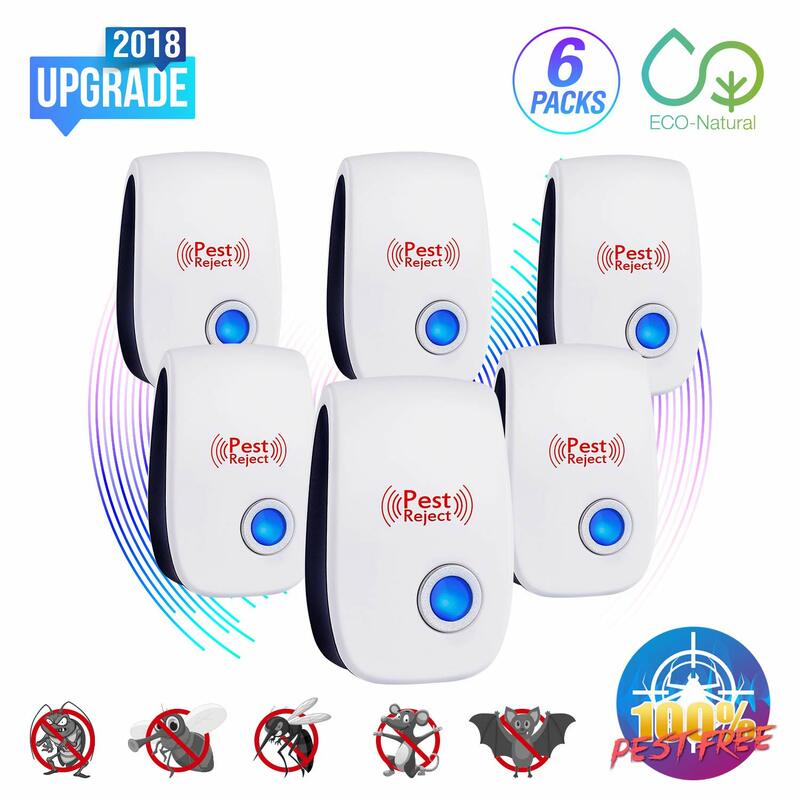 Because consumer focused ultrasonic pest repellers have only recently hit the market in the last decade or so, there quite a few options available. But how can you tell if you've found a good one? Different devices use varying levels of ultrasonic waves. How high or low the waves are is called the frequency. The key to finding a reliable ultrasonic repeller is using one which has a frequency that won't affect you and your pets, but will prevent pests from infesting. Devices with higher frequencies are less likely to harm other animals in your home, but will annoy and stop creatures like rodents from entering. In general, 60Hz is a good frequency to look for. Disposable pest repellers will not last as long as a more expensive model, which could last for years. These disposable models are less expensive but require frequent replacements because of their cheap design. However, it's easier to purchase enough to fill multiple rooms. People who know they have one area which attracts pests should invest in a long-lasting model. Individuals who would rather have all-around protection during a short period of time can buy low-cost alternative repellers. Ultrasonic repellers are simple to use. An individual either plugs the device into an electrical outlet or switches it on. 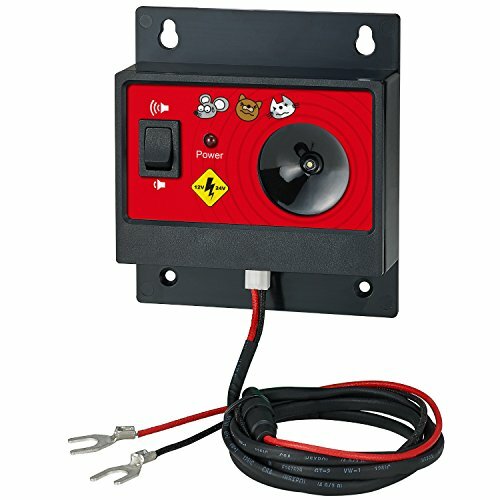 The repeller should be placed in a location where its noise will not be affected by walls and furniture. Ultrasonic waves transmit at an extremely high frequency. The waves can be stopped or suppressed by solid objects, which is why it's important to have the repeller facing an open area. If you live in a wooded area with lots of trees and shrubbery, you might have a problem with chipmunks, mice, and rats trying to nest inside your car. Some ultrasonic repellers are specially made to be placed under your hood to keep these rodents out . The Installation is slightly more technical, but nothing a normal car owner couldn't handle after reading through the directions. Take a look at the below video for an example of a repeller being installed inside a car. Many people are naturally worried about the safety of their pets when using an ultrasonic pest device. Studies found that cats and dogs, although they can hear the waves, are unaffected by low exposure to them. Rodents such as pet mice, hamsters, and rats should be kept away from rooms that use the device because they can hear the noise and will be disturbed. The difference comes from the fact that dogs and cats can't hear as high of frequencies as many rodents. Out of the repellers we looked out, the MaxMoxie had the most positive authentic reviews across the board. It's rated to repel mice, roaches, mosquitoes, spiders, and other various pests. Its ultrasonic waves cover up to 1200sq. ft and it can be placed in most house rooms (attic, garage, etc). Some users reported effective elimination of mice, cockroches, and ants. 60Hz frequency rated to repel roaches, ants, mice, and other common pests. The Snoogg Ultrasonic Pest Repeller is the next on our list and is designed to target mice, cockroaches, spiders and other common household pests. We like this product because because the general feedback for this model is that it actually works. Although not as popular as the MaxMoxie, customers have found success with this unit. Specifically, one use reported it completely eliminated her kitchen mouse problem and helped significantly reduce their cockroach issues. This product claims to be able to eliminate numerous household pests, including cockroaches, bed bugs, mice, and mosquitoes. Users plug the device into an electrical outlet on the wall and leave it to do its work. I recommend this product to individuals who strive to avoid environmentally unfriendly pesticides and chemicals. 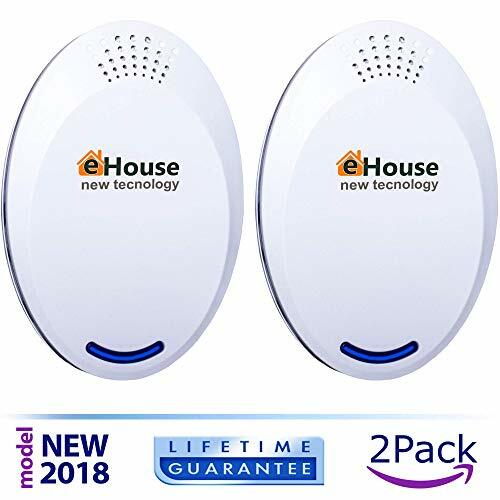 The eHouse Ultrasonic Pest Repeller comes with a lifetime guarantee and warranty, so people who aren't satisfied with the product can receive a new one or a refund. The device can protect an area of 1600 sq. ft. and requires a supply voltage of 100-240V, AC 50/60Hz. 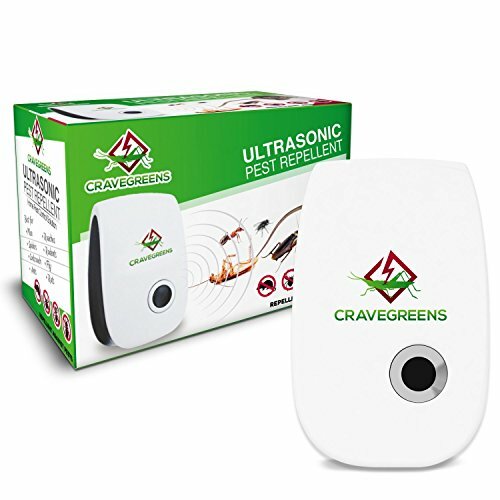 The Cravegreens Pest Repeller is a bit different different being built with multiple frequency settings (between 50Hz - 60Hz). Its rated to affects mosquitoes, spiders, flies, and other common household pests. Out of the products we looked at, this one doesn't have much customer feedback as it's a bit newer. The product does have a 60 day refund policy, so people who are unhappy with their results can return the device for a refund. This ultrasonic pest repeller plugs into a typical electrical outlet and can be manually turned on and off. It can work within 1615 sq. feet and can be used in homes, businesses, and warehouses. The device is environmentally friendly and avoids using pesticides, chemicals, or other potentially toxic products. The manufacturer claims the product is effective against rodents, spiders, cockroaches, and other common pests. 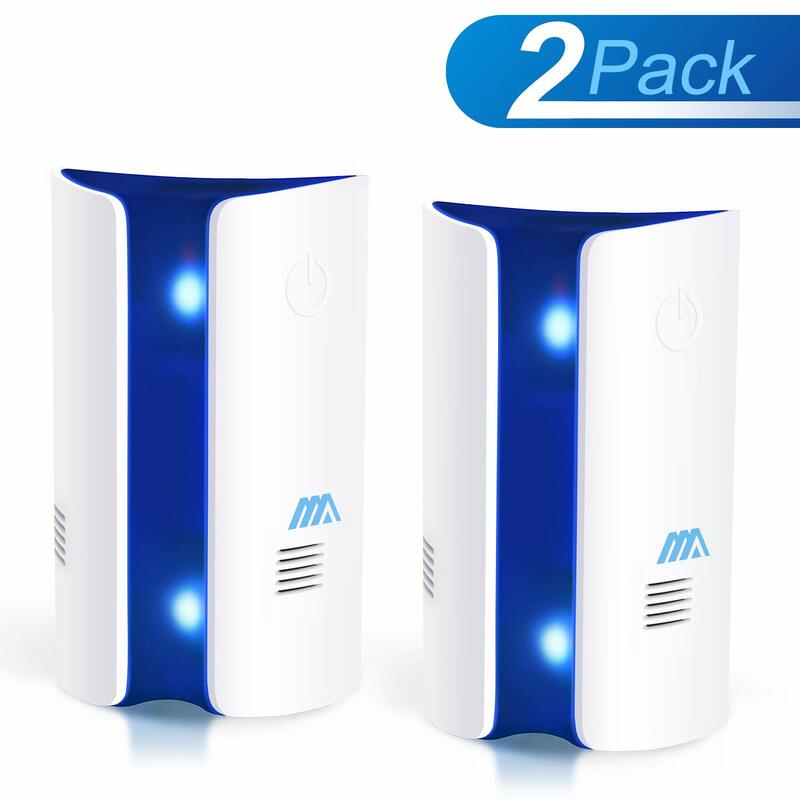 One of the benefits of this product is that it comes with a nightlight and uses a slightly higher frequency than other products, so users are less likely to hear it. Ultrasonic pest repellers are not as effective as some chemical pesticides, but they are considered much safer and can help deter infestations before they begin. The biggest issue with finding a GOOD one is how many companies are trying to sell knockoffs. Most pest repellers are a waste of money, but we did find a significant amount of positive reviews and feedback for this model making it our #1 pick. It has a respectable range of 1200 sq feet and emits a 60Hz repelling frequency. I have a Chinchilla, is it safe to use the Pest Repeller Ultrasonic Units? Hey Jeff, that shouldn’t be an issue with most units!